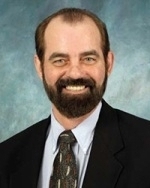 UNMC › Pathology and Microbiology › Faculty › Bios › Thomas L. McDonald, Ph.D.
Our laboratory conducts research related to acute phase proteins and their role in the inflammatory process. Acute phase proteins are produced by the liver in response to proinflammatory cytokine stimulation, primarily IL-1, IL-6, and TNFą. Our laboratory has focused on the acute phase protein serum amyloid A (SAA). Within 18 hours following stimulation, SAA is produced by the liver and blood levels reach 1000 fold higher concentrations than levels prior to stimulation. The function of SAA is unknown, although it plays a role in lipoprotein metabolism. These and other findings from our laboratory imply that this heavily conserved amino acid region of the colostrum-associated SAA molecule has an important beneficial function in the health and well being of the neonate, in particular with respect to the protection of the GI tract from pathogens encountered early in life. I have invented, developed and manufactured prototype diagnostic tests for human and veterinary applications as well as established start-up companies to manufacture and market these technologies in collaboration with companies worldwide. Courses - Medical Immunology to second year medical students; Medical Immunology, Graduate PAMM857; Methods in Immunol, graduate PAMM982; Discussion groups and laboratory in Medical Immunology. Twelve issued patents; four pending, all related to either Diagnostic Assays of Secreted Biological Fluids for Detection of Infection and Inflammatory Conditions; of Serum Amyloid A Isoform from Colostrum. The International Patent Application number PCT/US2017/0685056, “ANTIMICROBIAL COMPOSITIONS CONTAINING A SYNERGISTIC COMBINATION OF ACTIVATED CREATININE AND AN IMIDAZOLE ANTIFUNGAL AGENT’ was published on July 05, 2018. Thomas McDonald, Ph.D., and Steven Tracy, Ph.D., inventors. Gardner, G. O’Flaherty, S. Casey, G. Weber, A. McDonald, T. Hanahan, F. and Hill, C. Human mammary associated serum amyloid A (MSAA3); a colostrum-derived protein with potential as a prophylactic for enteropathogenic E. coli infection. 2009, Immunology and Medical Microbiology, 404-413. Weber, A., McDonald, T. L., and Larson, M. A Staphylococcus aureus lipotechoic acid induces differential expression of bovine serum amyloid A3 by mammary epithelial cells: implications in mastitis and early diagnostics. Vet. Immunol. Immunopathol. 1O9 (1-2): 79-83, 2006. Larson, M. A., Weber, A., Weber, A. T., and McDonald, T. L. Differential expression and secretion of bovine serum amyloid A3 (SAA3) by mammary epithelial cells stimulated with prolactin or lipopolysaccharide. Vet. Immunol. Immunopathol. 107: 255-264, 2005. Larson, M. A., Wei, S. H., Weber, A., Mack, D. R., and McDonald, T. L. Human serum amyloid A3 peptide enhances intestinal MUC3 expression and inhibits EPEC adherence. Biochem. Biophys. Res. Commun. 300(2):531-540, 2003. Mack, D. R., McDonald, T. L., Larson, M. A., Wei, S., and Weber, A. The conserved TFLK motif of mammary-associated serum amyloid A3 is responsible for up-regulation of intestinal MUC3 mucin expression in vitro. Pediatr. Res. 53(1):137-142, 2003. Larson, M. A., Wei, S. H., Weber, A., Weber, A. T., and McDonald, T. L. Induction of human mammary-associated serum amyloid A3 expression by prolactin or lipopolysaccharide. Biochem. Biophys. Res. Commun. 301(4):1030-1037, 2003. McDonald. T.L., Larson, M. A., Mack, D.R. and Weber, A. Elevated extrahepatic expression and secretion of mammary-associated serum amyloid A 3 (M-SAA3) into colostrum. Vet. Immunol. Immunopathol. 83 (3-4): 203-211. 2002.